I have been away and I apologize, my thoughts have been elsewhere. 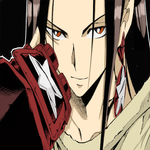 I promise, I am coming back to rp as Kage if you will still have me. I have a four day vacation that starts tomorrow and shall return sunday, expect to see me then.